Sometimes a patients wants to make considerable revisions to their smile without undergoing the cumbersome orthodontics process — which might involve traditional metal braces, which can really change a person’s routine. 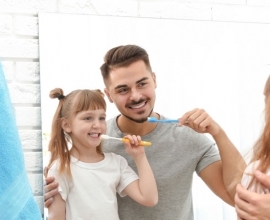 Dental veneers are one option for patients looking to make slight corrections in their bite, fix damaged or misshapen teeth, or even fix large gaps in between the teeth. 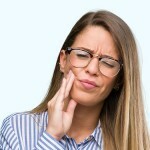 Accidents happen, and perhaps one of the most common reasons you may require porcelain or dental veneers is to fix a chipped or cracked tooth. The beauty of porcelain veneers is that they can be be customized to match your other teeth to restore your natural smile. Misalignment often causes gaps in your teeth, which would typically take years to fix with orthodontics. Veneers can cover those gaps in the time it takes to complete a single office visit. If you’re looking for an easier way to a whiter, brighter smile, dental veneers may be the perfect solution. Unlike natural teeth, veneers are made of material that naturally resists stains from coffee, tea, and cigarette smoke. And for stubborn natural teeth that resist whitening, veneers can make even the darkest teeth appear bright white. Most of us aren’t born with a perfect smile – we have to invest time, money, and energy to create a smile we love to share with the world. Many cosmetic dentistry patients have a misshapen tooth. 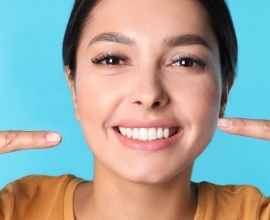 In most instances, these patients opt for porcelain veneers that can be customized to evenly match color, size, and shape of their other teeth. Because veneers attach to the front surface of your teeth, they are excellent for camouflaging minor dental and orthodontic flaws. Veneers are a less invasive option than crowns and achieve results much faster than orthodontics. You won’t have to wait months or go through multiple appointments to see results. 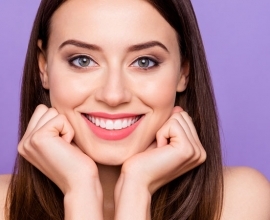 Veneers are an irreversible cosmetic treatment and a substantial financial investment. Taking the plunge is a big decision and one that is best made between yourself and your dentist. 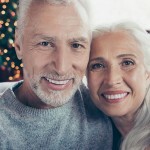 To see if porcelain veneers can help you achieve a picture-perfect smile, contact Bixby Knolls Dental Group today to request your consultation.